Friday, it was Clément Lenglet’s turn. A day after Barça presented Arthur Melo as the first signing of the 2018/19 season, the Catalan club unveiled the 23-year-old French center back. After arriving in Barcelona on Thursday and having pictures taken at the Barça Store, Lenglet underwent a physical on Friday morning and by midday had signed his 5-year deal with Club president Josep Maria Bartomeu. The signing ceremony was followed by Lenglet going down to the field to juggle the ball and then his very first press conference. 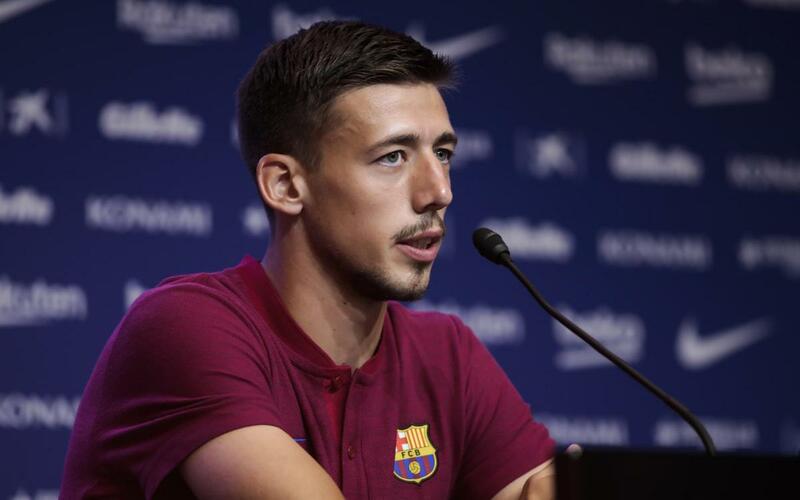 Here are the highlights of what Lenglet had to say. “Barça is the best club to win titles." "Barça is the best club in the world, it's a great source of pride"
"Like all players, I want to play as much as possible. I know that there is a lot of competition at my position, but I will try to play and do my best to be on the field as much as possible." "Everything motivates me. When you have the opportunity to play in a stadium like this, to play in the Champions League, to play with Messi, and to have the chance to win the Champions League, that gives you the motivation to sign here." "I will contribute my way of playing, and I will work hard every day to grow. You have to get used to the Barça playing style. It's different than at any other club. It will be a bit difficult at first, but you have to work hard in training to be ready as soon as possible."